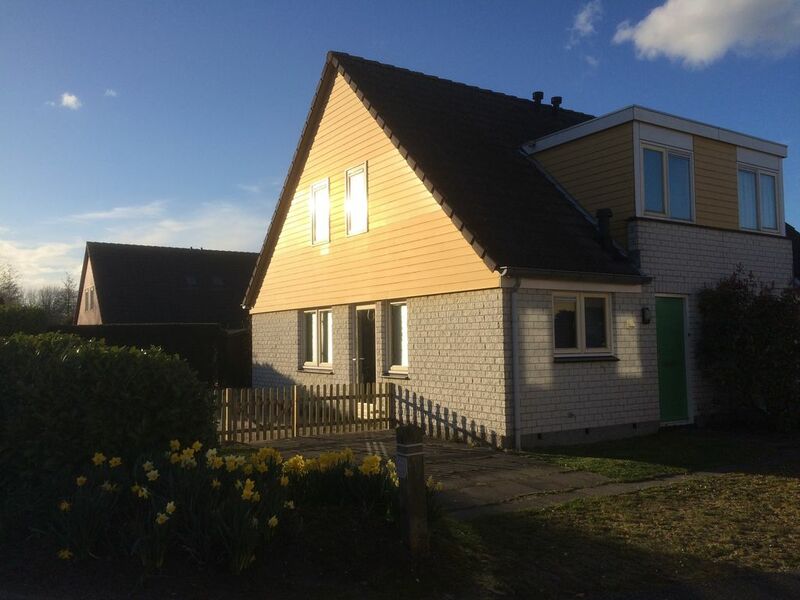 Family-friendly 6 person holiday home on Villapark de Oesterbaai in Wemeldinge (Zeeland) on the Oosterschelde, 200 meters from the beach. The house has all the comforts that you can expect from a Holiday Villa. It is a spacious house with 3 full bedrooms and good beds. The kitchen has a dishwasher, 4 burner induction hob, combi oven / microwave and fridge freezer. There is plenty of cutlery, crockery, pans etc and also children's crockery. And of course a BBQ! The bathroom has a bath, a rain shower with hand shower and of course a sink. You can get a lot of fresh air on the dike, you can already see it from the garden, 100 meters away. Behind the dike are the 2 beaches, even in the summer with 35 degrees is still enough place to sunbathe and relax. The port is within walking distance (less than 1 km), and in the village there is always something to do. In the summer you can enjoy BBQ in the garden, or of course in the kitchen. And do not feel like cooking, then there is a Bistro (with takeaway cafeteria there) next to the park about 500 meters away. With Goes at 5km you can also enjoy the city. Goes has a nice authentic center with almost all major retail chains. There are several museums and other fun activities in the area, such as a ride in the steam train from Goes to Borsele, or Aquapark Neeltje Jans. You can park your car at your own premises. There are 2 cars in front of the door. Possibly there is additional parking at the playground, at 50 m distance. At 10 minutes by car, the Omnium is a subtropical swimming paradise with water fun for young and old. A nice change on the Oosterschelde. There is a lot to do in the area, they can also inform you about this at the reception. At the reception there are also many brochures and flyers for fun activities. You can also rent bikes and bollard carts there. Gemütlich eingerichtetes Haus mit großem Wohn-/Esszimmer und Küche unten und drei Schlafzimmern oben.